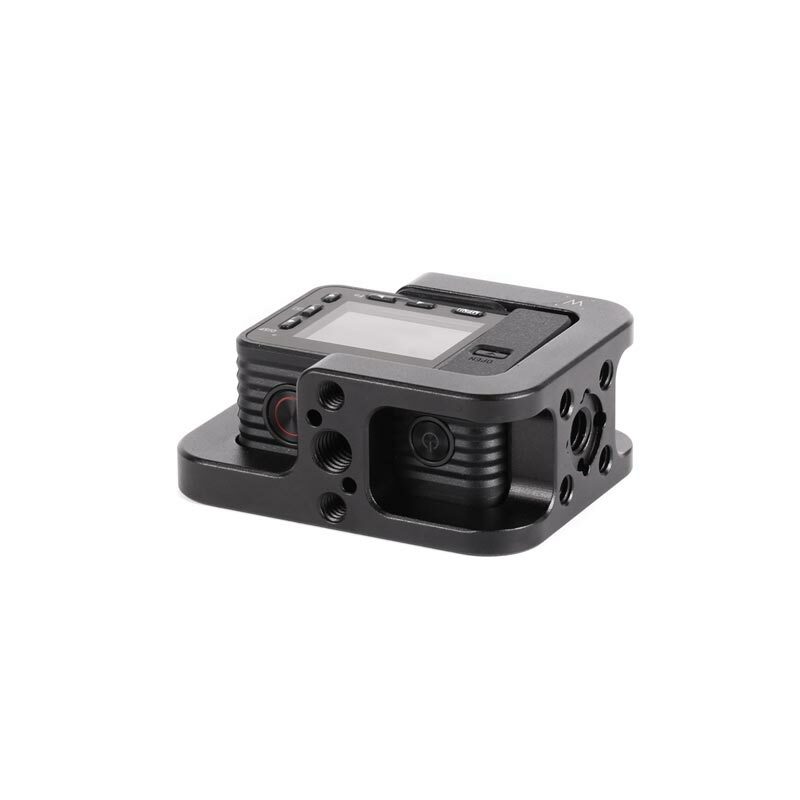 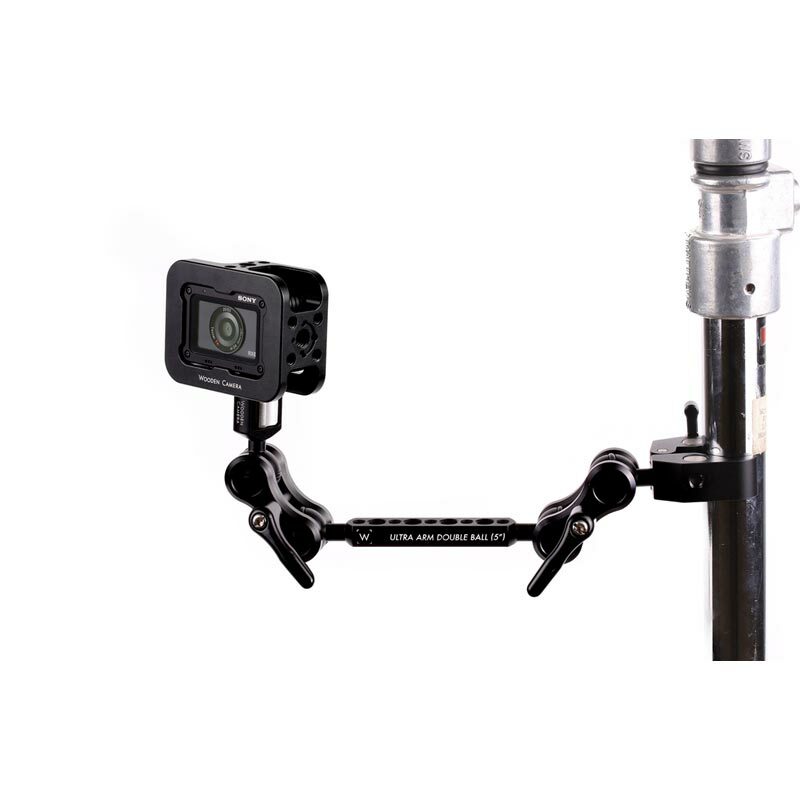 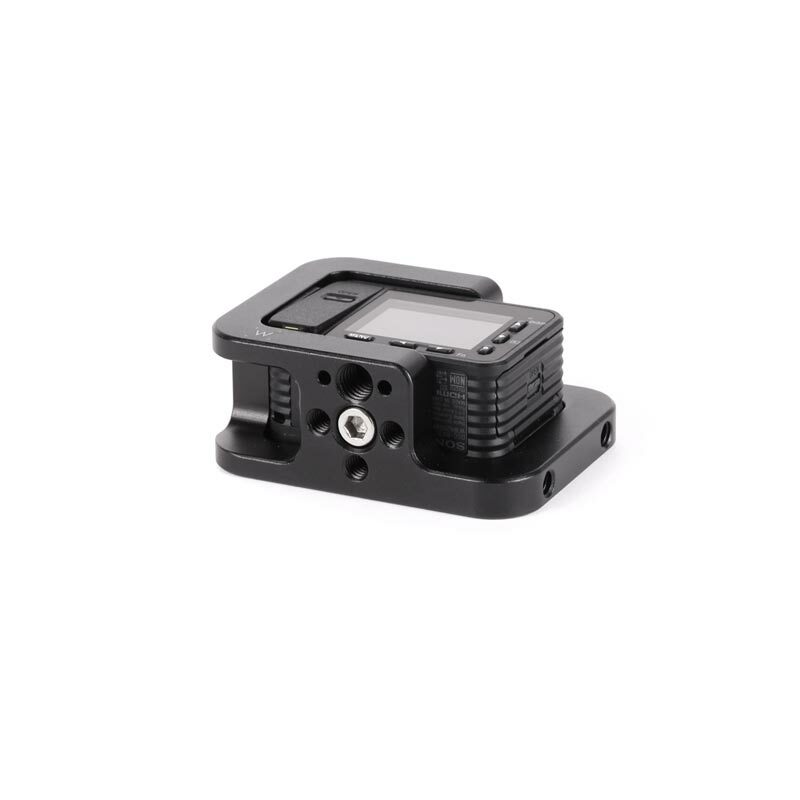 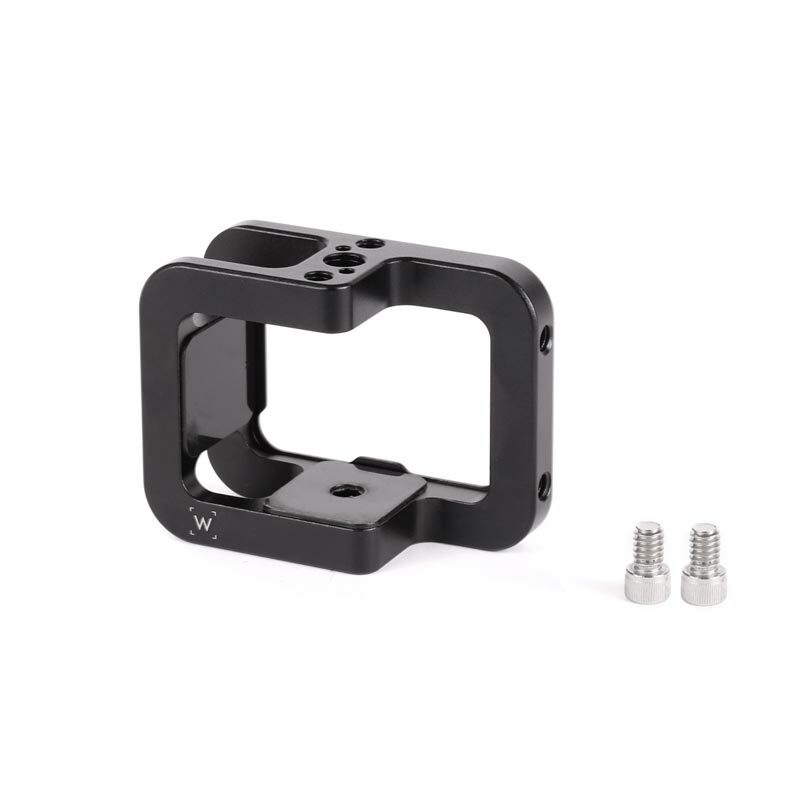 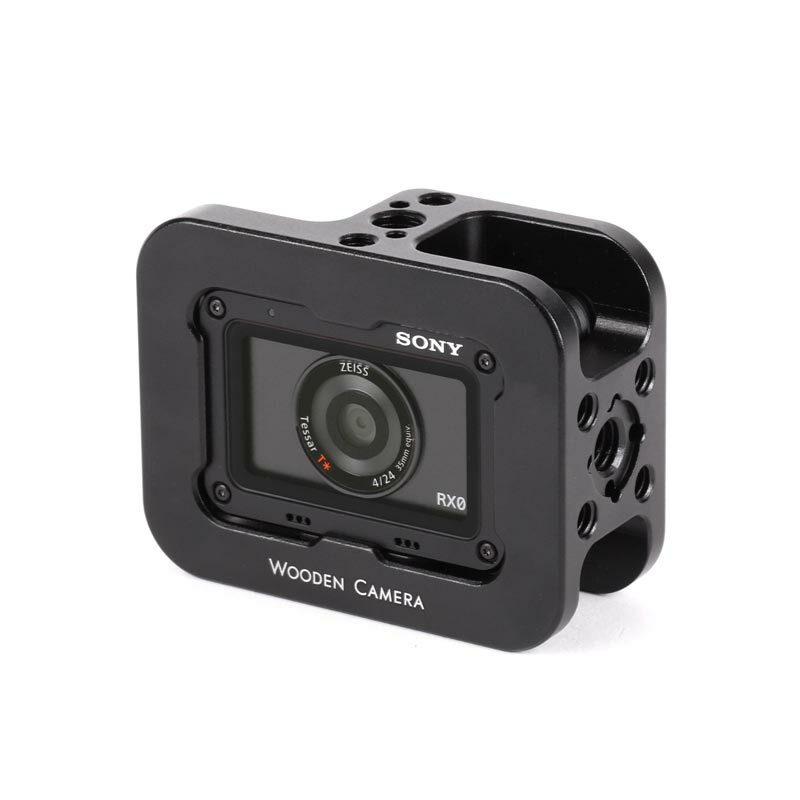 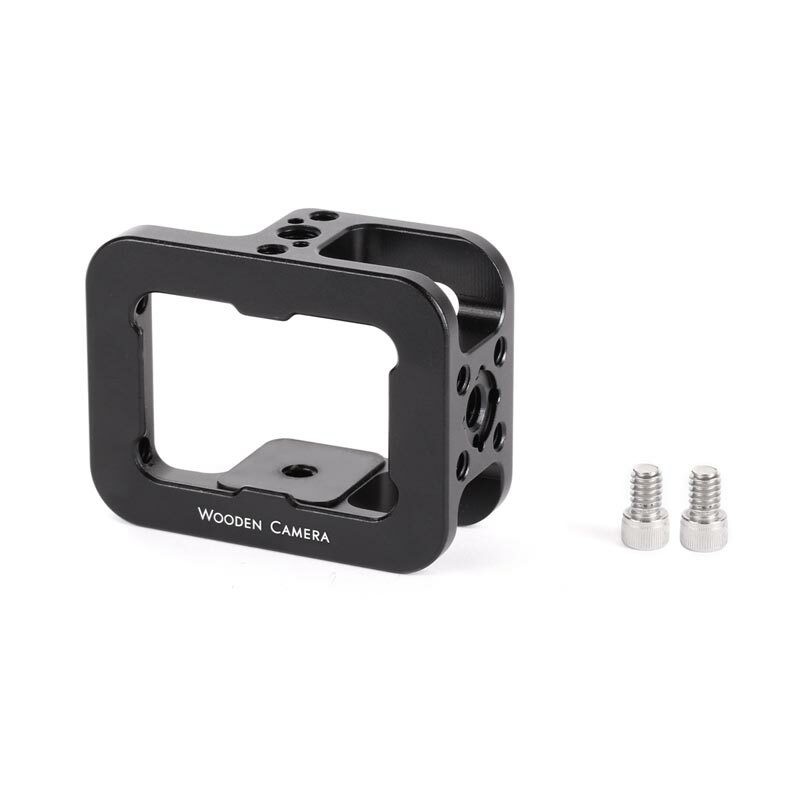 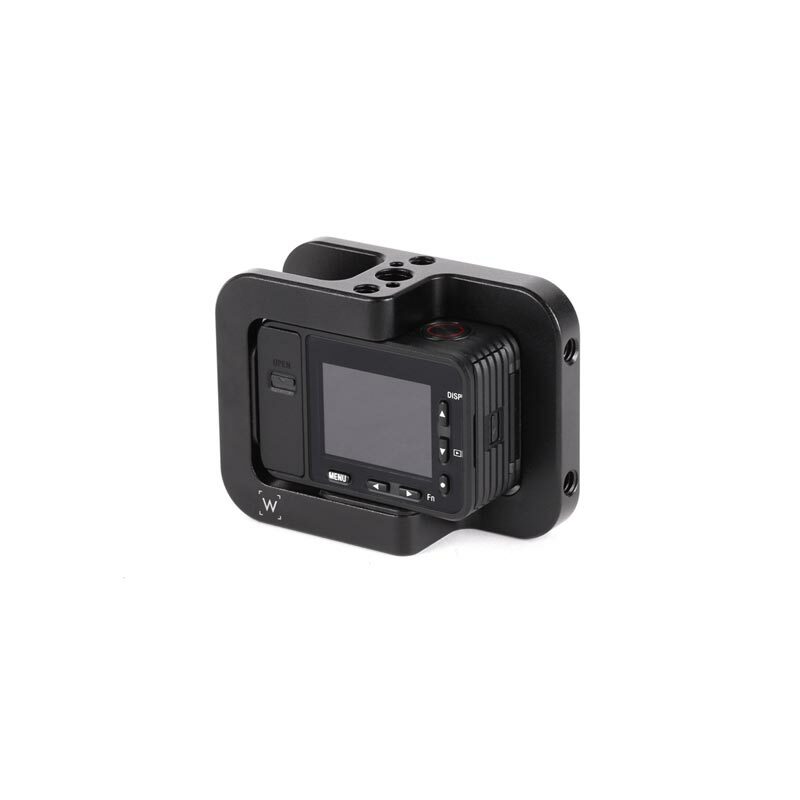 Sony RX0 Camera Cage is a form fitting cage that attaches by one 1/4-20 screw on the bottom and touches the camera on multiple sides to lock it securely in place. 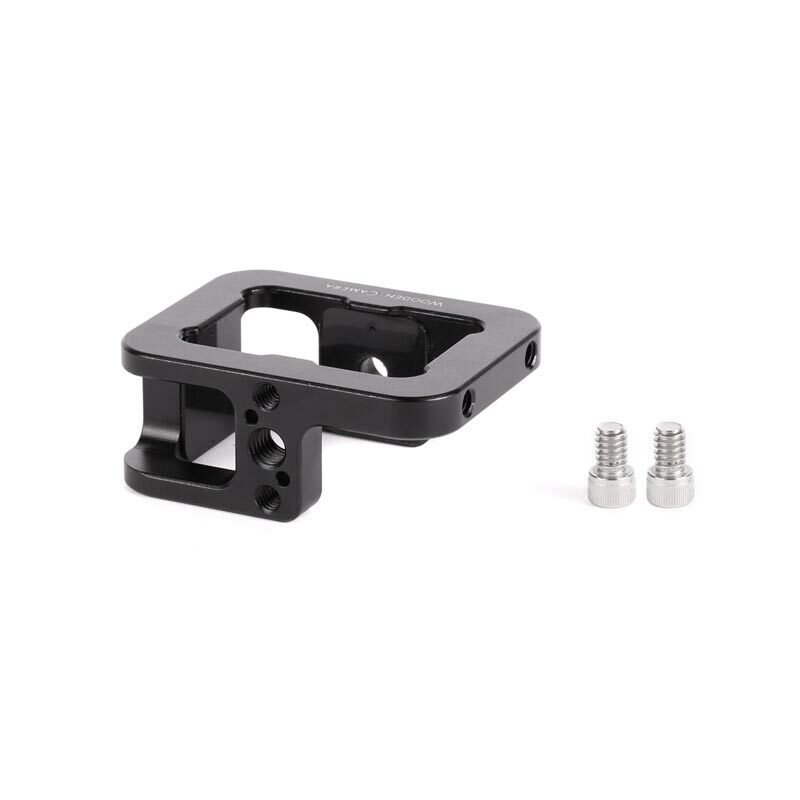 There are 1/4-20, 3/8-16, and ARRI accessory mounts on all sides allowing easy attachment of a Ultra Arms, Magic Arms, accessories, or other production rigging. 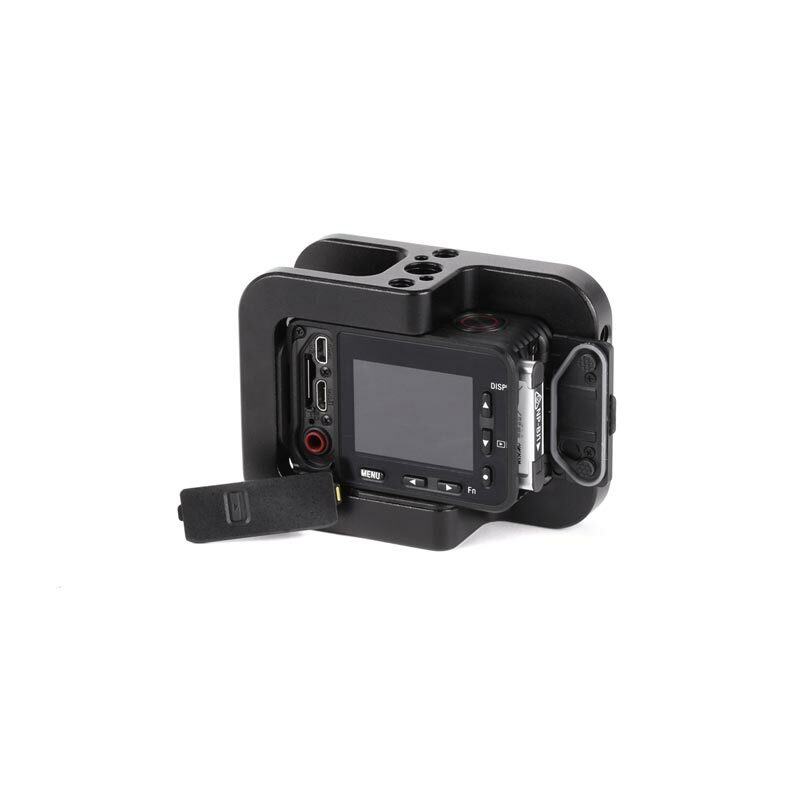 The battery door can open easily for battery changes without having to remove the camera and the back cover is unobstructed allowing access to the micro SD card slot and HDMI port.